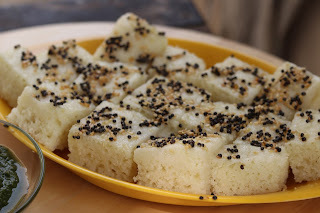 Rava dhokla is a healthy breakfast recipe/ snack recipe. Simple to make and healthy to eat. Learn how to make this soft and spongy dhokla recipe and enjoy with your loved ones. 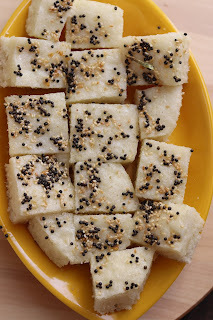 Rava or semolina dhokla is steamed, soft and fluffy light breakfast recipe which is instant and takes no time to prepare. 2. Cover the bowl, and keep aside for 20-30 min. 3. Add fruit salt in batter and do not beat too much else the air bubbles will escape. Transfer the batter into a greased pan. shake the pan to even out the batter. 4. Simultaneously keep water for boiling in a cooker or a steamer. Place a small plate at base in cooker. Place the batter pan on top and cover the cooker/steamer. Steam for 15 min on medium flame. 5. After 15 min, switch off the flame. Then remove the pan from the steamer. Cool at room temperature. 6. Tranfer the rava dhokla onto another plate by loosening the edges with help of knife. 7. 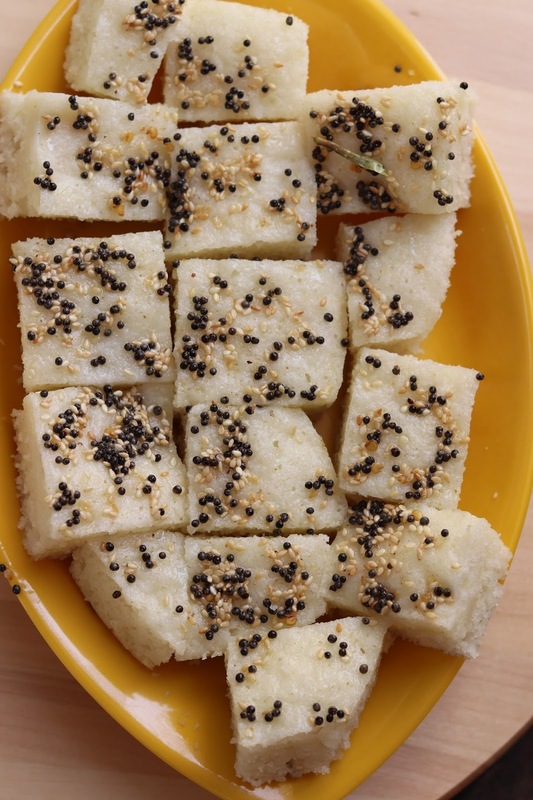 Prepare tempering bu heating 1 tsp oil in a pan, splutter mustard seeds, sesame seeds and green chili. 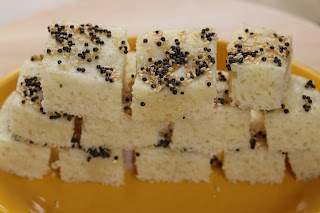 Pour on top of rava dhokla. Garnish with fresh chopped coriander and cut into pcs.